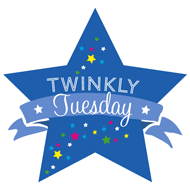 Twinfant Tuesday: Going Back to Work After Maternity Leave (Part I) | How Do You Do It? I returned to work when my babies were 11 weeks old. Going back to work after maternity leave was incredibly hard, physically and emotionally, but I don’t regret doing it. In the long term, my daughters and I are better off for my having maintained my career through motherhood. The photo above was the last one I took before returning to work. The babies were so little… only 4 weeks past their due date and still the size of newborns (around 7 lbs). I had to restrain myself from picking J up and holding her in an attempt to get enough baby snuggles to get through the day without crying. I didn’t quite make it through that first workday without a few tears, especially while I was pumping. The Family and Medical Leave Act (FMLA) gives many US employees 12 weeks off work for the birth of a child. This time is unpaid, but our employers have to hold our jobs for us and can’t give away our positions. To mothers in other countries, unpaid maternity leave is unthinkable, 12 weeks impossibly short, and the need to share this 12 week leave between both parents (if they work for the same employer) an abomination. Still, the law is what it is, for now at least, and I’m grateful that my employer is large enough to be required to honour it. Many American mothers, too, see 12 weeks as an impossibly short period of time to spend with their newborns and therefore choose to leave their careers for a longer period of time. Some employers will agree to hold a new mother’s job longer than the minimum 12 weeks required by law. Others will expect a new mother to hand in her resignation if she intends to stay home longer than that. One complication I didn’t anticipate was that bed rest-related absence from work also counted into the 12 weeks I was allowed off associated with the pregnancy. Fortunately, I work at a job to which I can telecommute and my boss was herself a mother whose second son was 4 months older than my girls. She was very understanding and did all she could to help me have the healthiest pregnancy possible. When my obstetrician told me 31 weeks into my pregnancy that I needed to stop working the following week, I went into a panicked tailspin. My boss was the one to suggest that I consider working half time from the couch, to keep myself busy and my income flowing even while I tried to reduce my symptoms of pre-term labour. My half time work schedule only lasted 2 weeks before my babies made their dramatic arrival at 33 weeks. Over those 2 weeks, I’d used up 1 of the 12 weeks allowed by FMLA. In the first hours after my babies were born, we were told to expect them home no sooner than their due date, still 7 weeks away. The idea of taking 7 weeks off work while the babies were in hospital, only to have 4 weeks left to bond with them at home, made me sick to my stomach. I started playing with calendars, trying to figure out whether I could return to work as soon as I was enough recovered from my C-section to do so, just to maximize my time home with M and J. A kind nurse, Michelle, took me aside when they were a couple of weeks old and advised that I not take the route of bopping in and out of FMLA leave. All indications were that both girls would be released home well before their due date, likely right around the time I would be healed enough from the C-section to go back to work. As it turns out, the girls came home at 16 and 22 days old, before I was cleared by my doctor to drive. How working mothers with longer NICU stays manage it all, I really don’t know. I did notice that many of the other NICU babies who’d been in the hospital for several months no longer got daily visits from their parents, thanks to the demands of work. My heart breaks for these families. This is one of a handful of photos of me during maternity leave. I had actually hoped to return to work part-time at first, when the girls were 9 weeks old, spreading out my FLMA leave and giving myself a more gradual switch from primarily breastfeeding to primarily pumping. However, my mother decided to visit just about the time I planned to go back to the office, and she required me to serve as a full-time chauffeur. We had initially hoped that she’d be able to watch the babies, but she was overwhelmed by the idea of juggling both of them. After all, it had been 26 years since she’d had to care for an infant by herself; with my baby sister, we’d had servants to do the heavy lifting. So, 11 weeks of maternity leave it was, and I returned to a full day. My babies were at daycare from 6:30 am until nearly 6:00 pm, thanks to my lengthy commute. How long did you/do you plan on taking maternity leave? I took 8 weeks of fmla and had to use all the vacation time I had (only two weeks) to get any income. My husband was out of work at the time so I had to go back right away so that we would have income to support us. It is really a shame the pressure our society puts on mothers to just bounce back after having a baby. Returning to work, losing weight, ect. And the lack of financial support while they are on leave. I’m so sorry your circumstances rushed you into going back to work. I do appreciate the childcare options available for working parents in my community, but I do wish more employers would accommodate longer leave times. I went back at 10 weeks, half days for two weeks, and at 12 weeks was back to 4 days/week. But, I was on bed rest for one month before our babies were born. I hate to say it, but I was ready to go back. After 14-16 weeks at home, I craved adult conversation, a reason to get out my pajamas and a break so that I could focus on the kids more when I returned. Ironically, it’s actually harder for me to go in to work now, when my kids are 10 months than it was when they were 10 weeks. I think it’s because I have a little perspective now about how quickly this time passes. It also doesn’t help the situation if they cry when I leave the room, or get excited when I come home at the end of the day now. Yes!!! When they’re itty bitty, the separation doesn’t seem to impact them as much. When they’re older, they can tell us how they feel about it! With my first pregnancy, I had been at my job less than a year, and the employer was unwilling to hold my position open for longer than the 6 weeks required by law. It was so hard to put my little one in a daycare at 6 weeks of age – but they were so caring and well-staffed, as well as flexible. I would nurse my daughter in a rocking chair at daycare for 20 minutes before I left her in the morning, drop by again to nurse her at lunch time, and then sit in the nursery and play with her for 15 minutes or so when I picked her up in the evening so that she would feel like it was a place she AND mommy belonged and spent time together – even if I wasn’t always there. The caregivers were also willing to play recordings of my voice and I would leave blankets for her that I slept with next to my skin so she could hear and smell me throughout the day. With my second pregnancy I was able to take 12 weeks off, and by the time I was pregnant a 3rd time, our financial situation was stable enough for me to take 6 months – starting a month before the due date. It was a great choice for us, and I wish every family in America had that opportunity. Pingback: Twinfant Tuesday: Going Back to Work After Maternity Leave (Part II) - How Do You Do It? 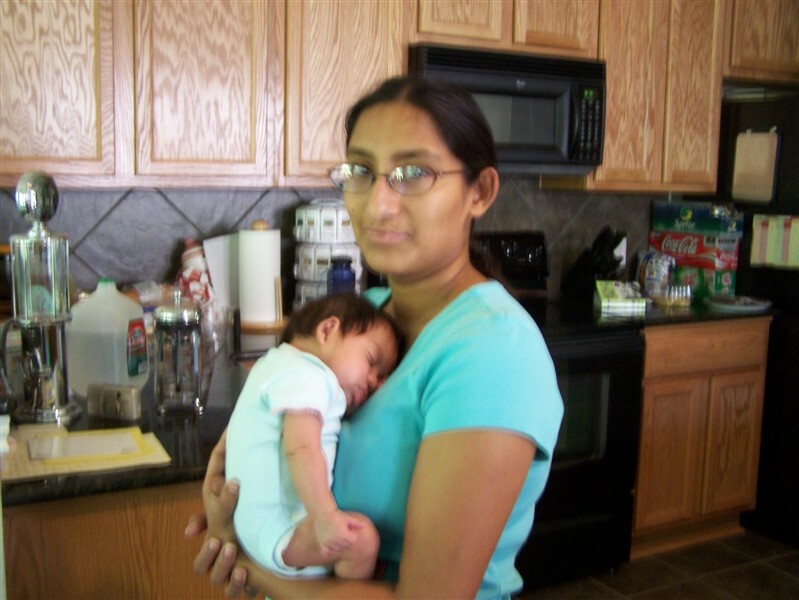 Pingback: Twinfant Tuesday: Going Back to Work After Maternity Leave (Part III) - How Do You Do It? Pingback: Twinfant Tuesday: Going Back to Work After Maternity Leave (Part IV) - How Do You Do It? Pingback: Toddler Thursday: Diapers Are Easier - A Confession - How Do You Do It?